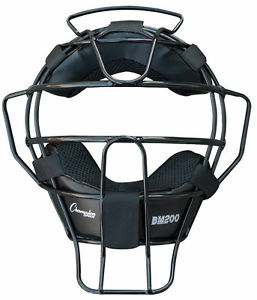 Champion Ultra Lightweight Umpire Mask Black Leather Pads-Black Frame. DryTek TM leather pads resist bacteria, mold and mildew. Hollow wire construction.